I got to do the machine quilting on this beauty. 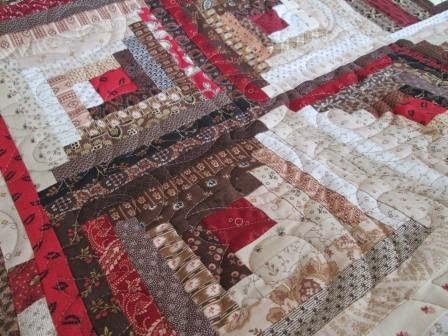 I just love this quilt. The logs are so thin and so many seams, it was a heavy top. 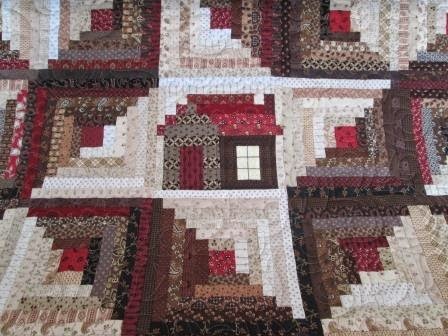 My customer asked me to do some echo quilting on the little homes but then she wanted something more over all on the rest. You can see some of the curved lines here. 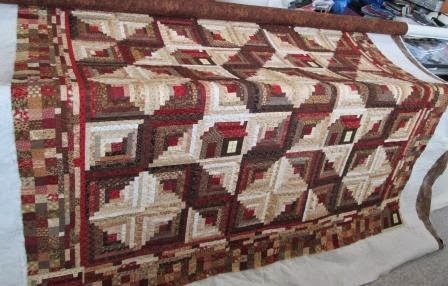 Can you believe it, she is giving this quilt away. I hope they love it. The all over shot, just as I am unpinning the quilt from the frame. It is so nice to get them done.